Last month, we decided to start publishing our monthly income reports. Why? In hopes to pay it forward and maybe, just maybe, inspire you so you can have this job and lifestyle too. Every morning we sit on our porch and sip coffee while our kids play in the front yard, we don’t worry about the time, we just enjoy the kids. Then around 9 or 10 we make our list of 3 things for the day and get to it. Our job is flexible, we can travel and work from anywhere and we can take days off and still make money on those days. This post contains affiliate links but only for things I have used and love. It’s nerve racking putting this out there like this but you are an outstanding mom with incredible talents and I know that you have a dream, a dream deep down within your soul. It’s too big, it scares you because you don’t know if you’ll ever achieve it. You barely, if ever, talk about it because it’s not realistic. But what if I told you it is. Dreams begin with a single step. Money is a means to an opportunity and blogging is a really cool way to make money. Or taking 3 weeks vacation, yes 3 weeks. PAID. Making enough money not only to pay for your vacation but also pay all your bills at home and more. And imagine that moment you pay off your house. It doesn’t have to be 30 years away. Imagine yourself jumping up and down and celebrating! Then start saving for your kids’ college, investing, and more. Remember, this could be you too. Dreams begin with a single step. Let this be your push. I even created a tutorial for you on How to Start a Blog – Everything You Need to Know, it’s only $2.95 each month(that is a special price only available through my link). You will also receive a free domain ($15 value) if you purchase one year’s worth of hosting, just make sure you use this Bluehost link for that price. Here’s the breakdown of April’s income. This is when a company hires me to write for them, so this portion is not passive. I usually make WAY more in this department but that would have required time away from my newborn. So this category is much smaller than usual. A great company to get sponsored post through when you’re first starting out is: IZEA. This comes from several different sources. Amazon.com, Ebates, affiliating others books. You can become an affiliate to 175 Best Date Ideas and make $5 for each friend that buys a copy. Sign up and then share your link. You can earn affiliate credit with or without a blog (a blog just helps you to reach even more people). When “affiliating” books I always recommend that you have used/read the product first, don’t ever recommend something you wouldn’t buy yourself. It’s important that you gain and keep your readers trust. Just like any business this blog has expenses too, including hosting, e-mail subscription service, taxes, etc. We also like to set aside some money each month for giving. I work my blog like I would a real job. We put in a lot of effort and the time and it makes the reward even sweeter. Initially we worked our bums off staying up late and building up our site, now we try to limit our to-do list to just 3 things a day, if possible. What’s most important and that’s it, then we enjoy our family with the rest of the day. When I started my blog just over 2 years ago my goal was to have my husband quit his job and work at home with me, 8 months ago we made that dream a reality because of this blog. Dreams can happen, they begin with a single step. If you’re interested in starting a blog the next section is for you. Go here to start your blog. Then, follow this tutorial on how to start a blog (no tech knowledge required)! I’ll walk you through everything step-by-step! It rocks being your own boss. We love Mondays and we want you to, too! Important note: If you want to make money through your blog, it’s important that you get a self-hosted site (this way you will own it). Plus it will save you the huge headache not having to migrate over in the future, instructions on how to start a self-hosted site are here. Remember, it’s only $3.49 each month (that price is only available through my link). And you can also get your domain for free ($15 value) if you purchase one year’s worth of hosting through this Bluehost link. 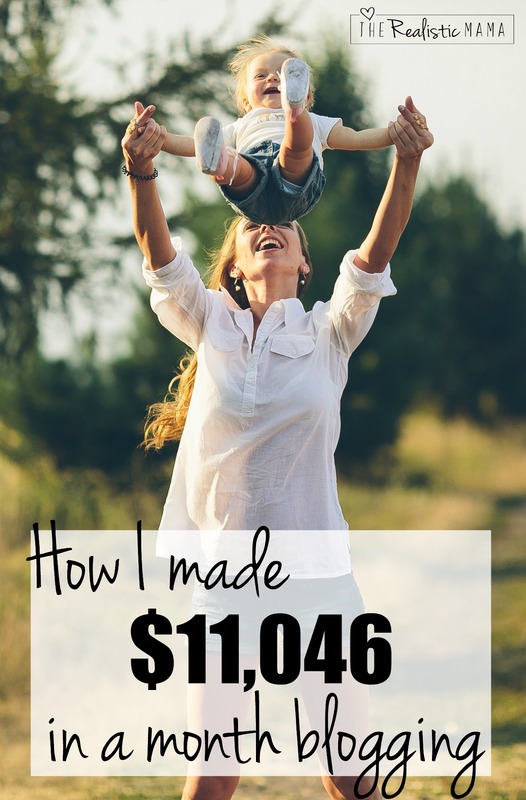 Congratulations on making your blog your income and working together! I’m so very proud of you. This was really helpful, lady! Thanks so much for sharing! Great! This is inspiration to start making money on my own blog.